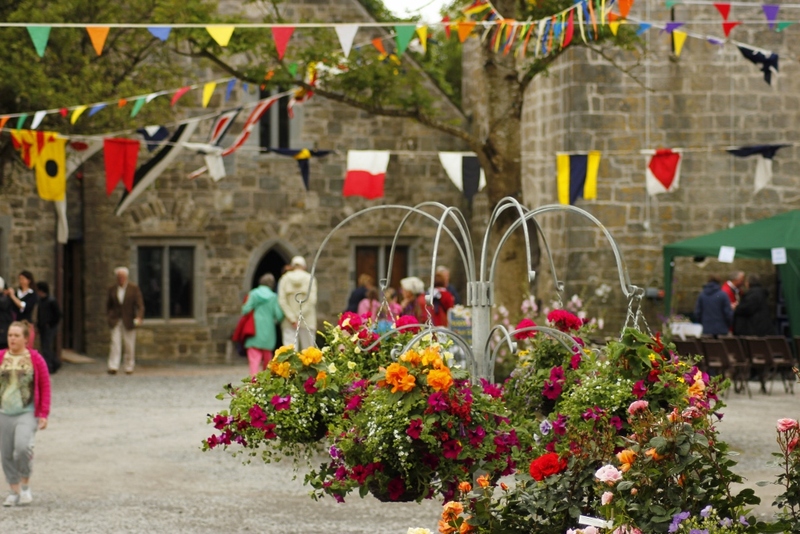 THE 8th ANNUAL GALWAY GARDEN FESTIVAL – CLAREGALWAY CASTLE. 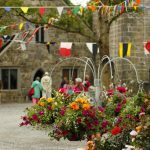 The 2017 Galway Garden Festival will take place on Saturday 1st and Sunday 2nd July, at Claregalway Castle. This will be the 8th year of an unique and charming garden event which has developed a national profile. 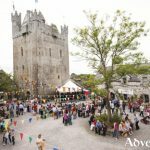 It will showcase a wonderful gathering of the very best of rare and special plant traders from all over Ireland, present a programme of expert talks, a fine artisan food and crafts arena including the best of ‘Made in Galway’, as well as a host of musical entertainment and open-air performance. On Sunday presentations include – Bloom Gold Winner, Oliver Schurmann of Mount Venus ‘From Show Gardens to Real Gardens’; Botanic Artist and Author, Jane Stark –‘Heritage Irish Plants – Plandai Oidhreachta’; Pat Dunn, well known gardening correspondent for Tribune newspapers – ‘Garden Planning – helpful hints and chemical free’; Mies Stam of Caherhurley – ‘Getting to know our w ildflowers’. More to be announced. Musical guests include Scullion, the multi-national folk duo of Four Shillings Short, St. Patrick’s Brass Band, Strictly Dixie Trad Jazz Band , Nuada and award-winning singer-songwriter Roesy, plus many more. The festival will feature real fights between Knights in Armour from Medieval Armed Combat Ireland; Fanzini Brother Circus will delight with their new show; and Youth Ballet West will awe crowds with classical dance, while Yer Mans Puppets will entertain children of all ages. A range of freshly cooked foods, handmade crafts and assorted wares are available as part of an artisanal market. The Claregalway Botanical Art Expo is a well-established attraction at the festival, and many of the paintings on exhibition are for sale, along with limited edition prints, and cards.Charlie Byrne’s Bookshop will be there with a wide range of books – horticultural and beyond. 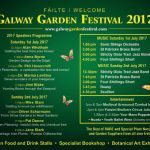 The 2017 8th Galway Garden Festival takes place between 11am and 6pm on Saturday and Sunday, 1st & 2nd of July at Claregalway Castle. Entry is €10 and children go free, with all gate profits going to support CBM Ireland. There is free parking close-by and a free bus –courtesy of Bus Eireann – running regularly from Ceannt Station in Galway City and providing a link to and from Seafest. 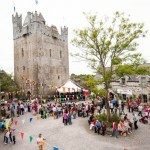 So come to Galway for a very special weekend! 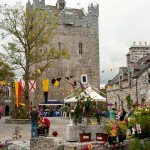 For all information, including further programme announcements, seewww.galwaygardenfestival.com.